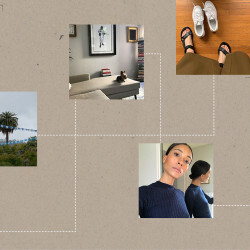 From editorial makeup artist behind the scenes on Vogue covers with Annie Leibovitz, to doing makeup for a 15-year-old Naomi Campbell, to celebrity facialist to Kim Kardashian, Diane von Furstenberg, and Emma Stone (just to name a few), and founding a namesake all-natural product line, it would be an understatement to say that Tracie Martyn has had quite a career path. But let’s back up a sec. 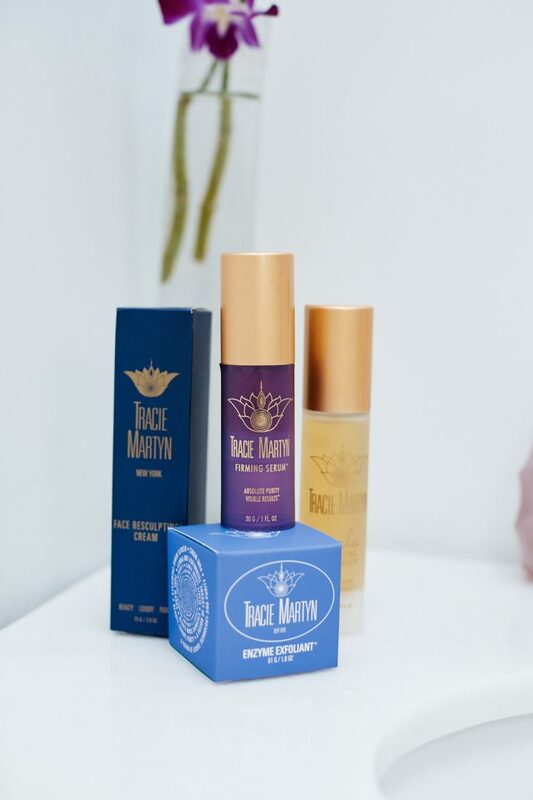 The inspiration to start the Tracie Martyn brand came from Martyn and her husband slash business partner Marius Morariu’s idea that skin-care products and treatments could utilize natural and organic ingredients, while still being high-performance *and* luxurious. So their clients could avoid worrying about both chemical-laden products and their ineffective natural counterparts that were abundant at that time. 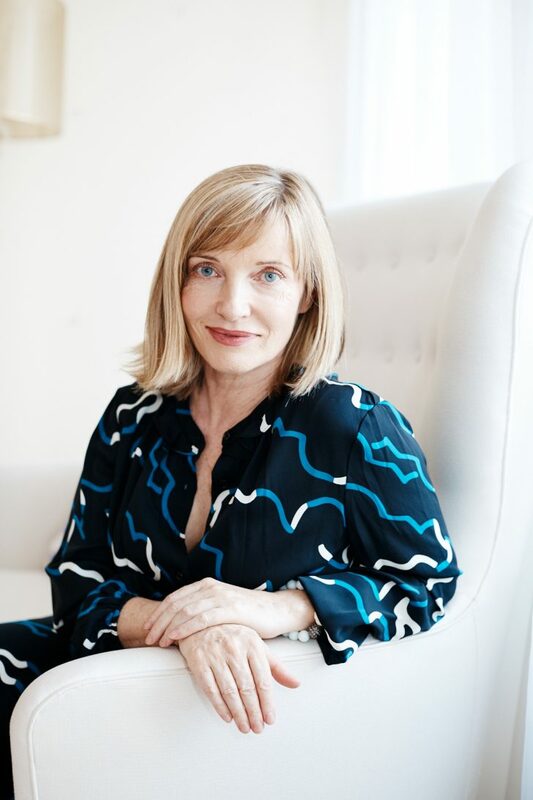 It all fit perfectly together since Martyn had already found a loyal A-list following in her signature Resculpting Facial—which was becoming (and still is) their alternative to botox, fillers, and plastic surgery. 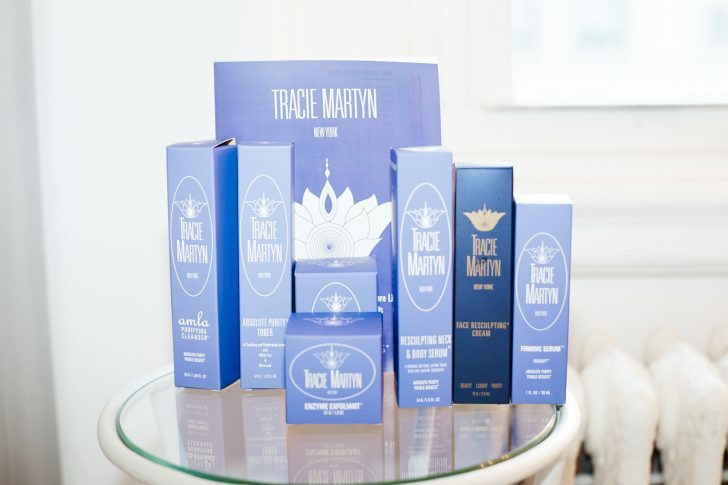 So when we got together with Martyn and Morariu at their Fifth Avenue salon, we had to chat all about their journey creating an organic line in a pre-Juice Press world, and of course, pry for some skin-care secrets from Martyn’s fountain of knowledge (and youth). We mean, if it’s good enough for Rihanna…. “I always wanted to do something creative and when I was eighteen I was lucky enough to start doing makeup in London where Bow Wow Wow, Bob Geldof, and Elvis Costello used to go for haircuts, I became a self-taught makeup artist there. From there I started working with Tony McGee, Sam McKnight, and Mario Testino in Paris and London, so I got to know a lot of the supermodels during that time. I actually worked with Naomi [Campbell] when she was fifteen. 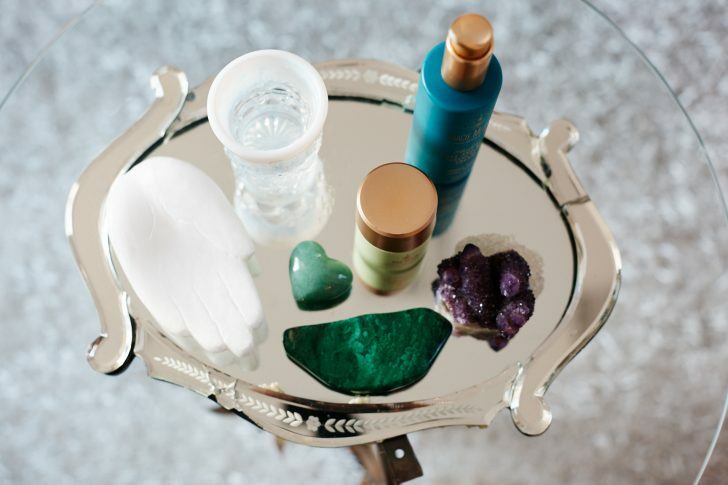 “Clients like Diane von Furstenberg, who I have had the pleasure to work with for two decades, come in weekly for a facial. 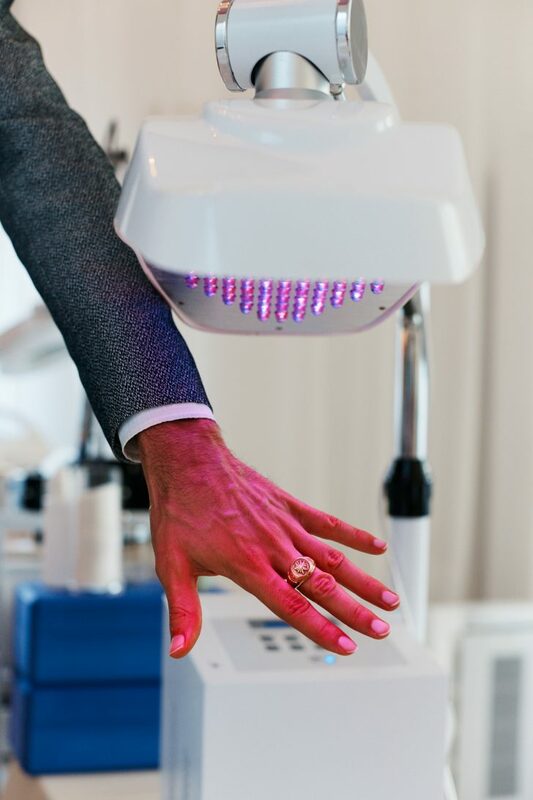 Before the Oscars my clients come up to three times within 10 days, including the day before for my trademarked Red Carpet Facial—including Meryl Streep, Kate Winslet, Sofia Vergara, Patricia Arquette, and Jennifer Jason Leigh. 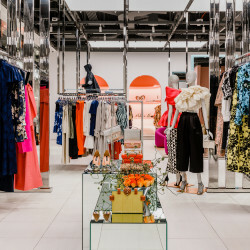 During Fashion Week we work with Tory Burch, Riccardo Tisci, Nicolas Ghesquière, Brandon Maxwell, and other amazing designers before their shows. Naomi Campbell comes all the time and a lot of young models, including many Victoria’s Secret models, because they look so glowy and sculpted immediately after so they can go straight to their go-sees. “I recommend supplements like L-lysine (for breakouts and rashes), vitamin C, vitamin B complex, turmeric and Amla berry. Most of the ingredients in our product line are also nutraceuticals. You build healthy skin from the inside out—if clients eat lots of chocolate and too many nuts, that can create breakouts and rashes in the skin. If you want to build up healthy skin you have to follow a clean diet, with green juices, a lot of water, vitamins; it really makes a big difference.